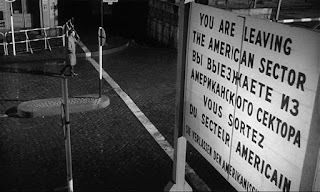 A Cold War drama, The Spy Who Came In From The Cold is a grim, ground-level view of the foot soldiers caught up in the great game between global secret services. The film is a gripping, low-key human story of thrust and counter-thrust, where every move could be the last and few combatants, if any, can see the end game. Alec Leamas (Richard Burton) is the British head of the Berlin station, and he has just lost another of his spies, uncovered and killed by his nemesis Hans-Dieter Mundt (Peter van Eyck). 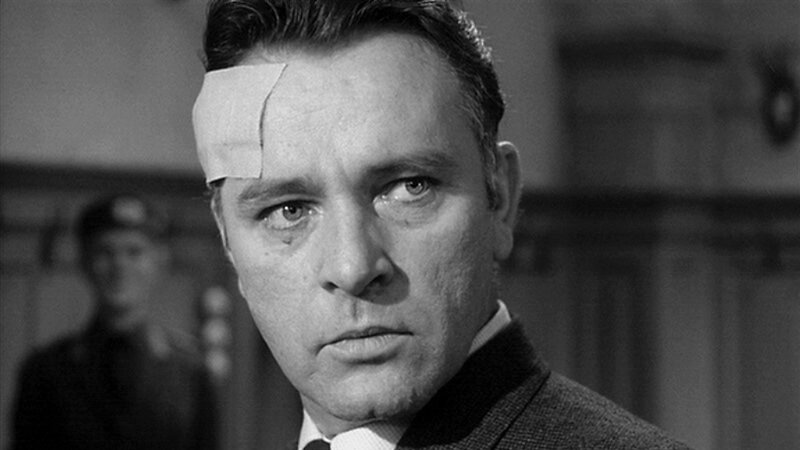 Leamas is getting very tired of the spy game, but his boss Control (Cyril Cusack) activates a high-risk mission to try and turn the East Germans themselves against Mundt. 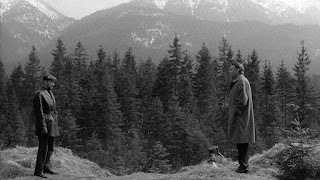 Leamas will pretend to quit the service, and then offer to sell secrets to East Germany's agent Fiedler (Oskar Werner) that will implicate Mundt as a British spy. The plot kicks into gear, and as Leamas waits in London for the enemy to take the bait, he starts a relationship with librarian Nan Perry (Claire Bloom), an idealistic communist. Soon the East Germans do recruit Leamas, and he makes contact with Fiedler's men in Holland. All seems to be going well, but when Leamas finds himself whisked to East Berlin and treated more roughly than he expected, he realizes that the mission is more dangerous and the stakes higher than he could have ever imagined. 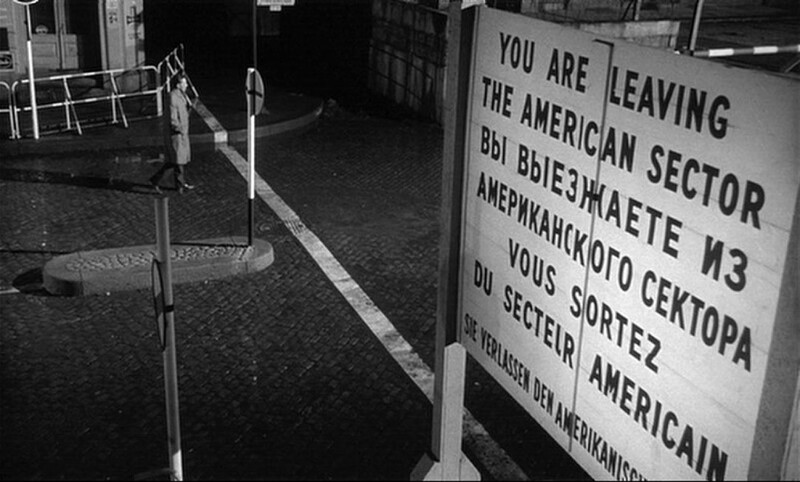 An adaptation of the John le Carré novel directed by Martin Ritt, The Spy Who Came In From The Cold captures all that is depressing about the Cold War. The film depicts the world of front line trench coats, where the game of spies, as fought with words, lies, accusations, incrimination and intimidation, has become an end onto itself. This is a spy story where there are no secrets to be uncovered, documents to be exchanged or great state-sponsored plots to be stolen and revealed. Spies like Leamas, Mundt and Fiedler are reduced to guarding against each other, the equivalent of pawns expending energy stalking each other while the kings and queens are oblivious. 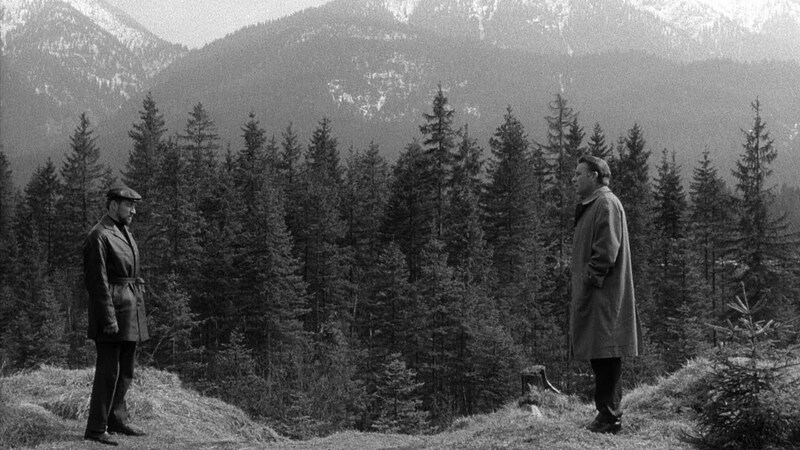 Filming in a most appropriate glum black and white, Ritt focuses on Leamas as an experienced but weary spy who thinks he has most of the angles covered. But as in most le Carré stories, there are always others who really pull the strings and know much more, and Leamas will only gradually learn, and at great cost, the full extent of the subterfuge surrounding him. Leamas is a hero only insofar as a single foot soldier can ever be in control of a complex battlefield, and the sense of helplessness in the face of greater forces dictating the outcome is the film's pervasive and engrossing theme. Richard Burton creates in Leamas a complex character, still dedicated to the cause but undoubtedly exhausted, agreeing to one last mission but also ready for a tender relationship with Nan. Ritt contrasts Leamas with the vigorous Fiedler, all intellect and wit, and Mundt, more experienced, oozing confidence and evil intent. Fiedler represents Leamas from years past, Mundt is more his contemporary, but perhaps not yet as drained. Control and Smiley (Rupert Davies) have relatively minor screen presence, but of course in le Carré's world, influence and visibility are two different things. The story of a war fought in the shadows, The Spy Who Came In From The Cold is intelligent, fascinating and suitably disheartening.